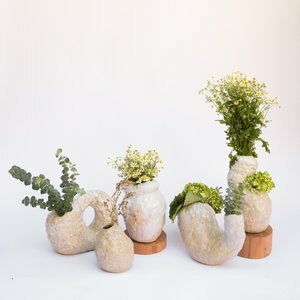 In this 2 hour workshop, Krizia Flores of Concrete Geometric, will be demonstrating a simple technique in working with concrete and color to create a decorative planter. Each guest will be provided with a personal kit, including all supplies. The first 45 minutes will be spent building a simple mold, mixing, and pouring concrete. While the concrete sets (approx. 45 min. ), guest will be able to socialize, and enjoy the space. The last 30 minutes of class will be spent opening the molds and planting succulents, cleaning up, and finishing with a Q&A. In this workshop we will be demonstrating a simple technique in working with concrete and color to create a decorative planter. The class will accommodate 10 guests and will last 45min. Each guest will be provided with a personal kit, including all supplies. Choose from these 2 ticket options and time slots. Each class is about 30-45 minutes long. We will build a mold and cast concrete, after you have casted you can walk around and check out some stores or hang out. It takes about 30 minutes for your concrete piece to dry. Learn how to make your own cement mold for a geometric planter with Krizia Flores of Concrete Geometric. 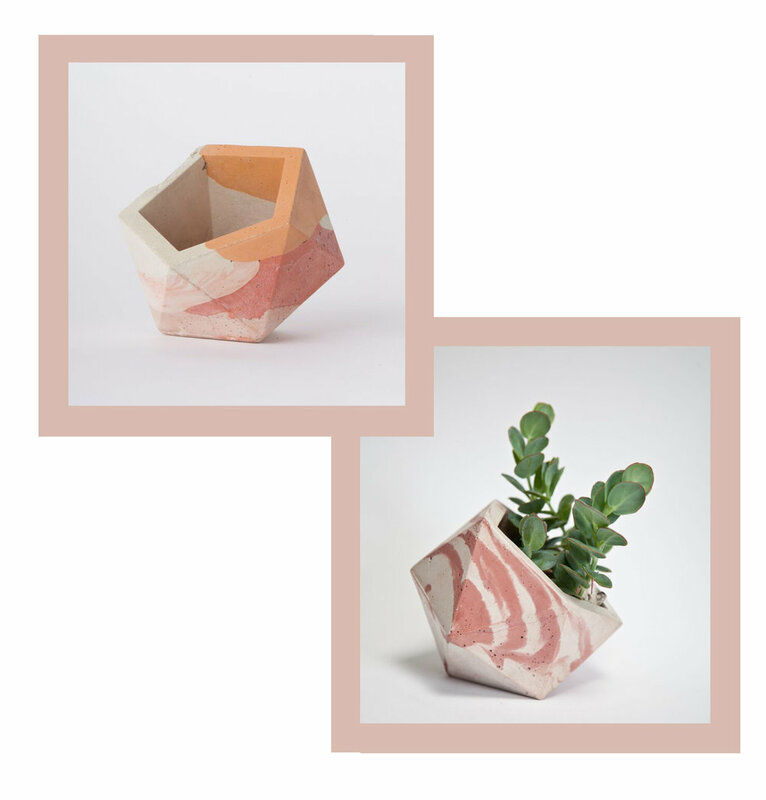 After, creating your own geometric cement vessel, plant succulents in them to take home. Spaces are limited. Stay tuned for tickets and further details. LA Design Festival will feature a special exhibition at ROW DTLA, celebrating LA’s spirit of creative collaboration and freedom entitled “Design is for Everyone." New and original works by Concrete Geometric, Knotwork LA, Pretty in Plastic, and Wolfum. This exhibition is free and open to the public, June 9 & 10 from 11am to 5pm. RSVP is not required to attend. Note: The LA Design Festival Special Exhibition Preview: Design is for Everyone will be held Friday, June 8 from 6pm to 8pm. RSVP is required to attend the Preview. LA Original, a pilot program of the Mayor’s Fund for Los Angeles in partnership with the Mayor’s Office of Economic Development, was developed to celebrate LA as the creative capital of the world. LA Original provides a platform to showcase our diverse makers and promote locally designed, assembled, or manufactured goods through a line of LA-branded products from across Los Angeles — with proceeds supporting creative entrepreneur programs. In addition, LA Original encourages people to shop local while providing a new badge of LA pride for residents and visitors alike. The LA Original Pop-Up Shop at LA Design Festival is part of the Design Block Party at ROW DTLA on Friday, June 8. It will also be free and open to the public, June 9 & 10 from 11am to 5pm. Meet the makers and shop local at ROW DTLA! 7-14 September during Maison & Objet and Paris Design Week. Open from 9am – 6.30pm Mon-Fri. The next West Coast Craft will take place June 11-12, 2016, in the Festival Pavilion at the historic Fort Mason Center on the San Francisco waterfront. Honored to be a part of Design Milks pop up at this years ICFF in New York during design week. Come by our booth #4004 and check out some new works by us + more designers. Some of our "Outside the Box" pieces are exhibiting during NY design week. 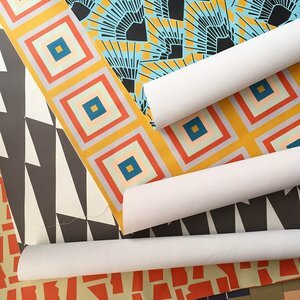 Shipped across the country in Bankers boxes, the work of 9 LosAngeles area designers will be unpacked, installed and presented alongside designers from 11 cities across the US and Canada. Outside the Box works with local correspondents to curate original works from local designers, reflecting the particular resources and makers of each area and responses to the theme "multiples." Some of the our "Outside of the Box" exhibiting during NY design week. Cost: $10 at the door (cash only), Kids 12 and under are free. Online tickets available in November. Food truck on-site 11:30 am - 3 pm.